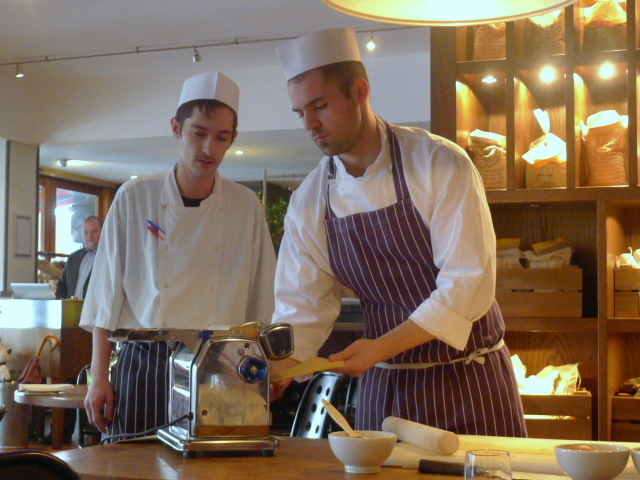 The masterclass was followed by a two course pasta lunch and a dessert. 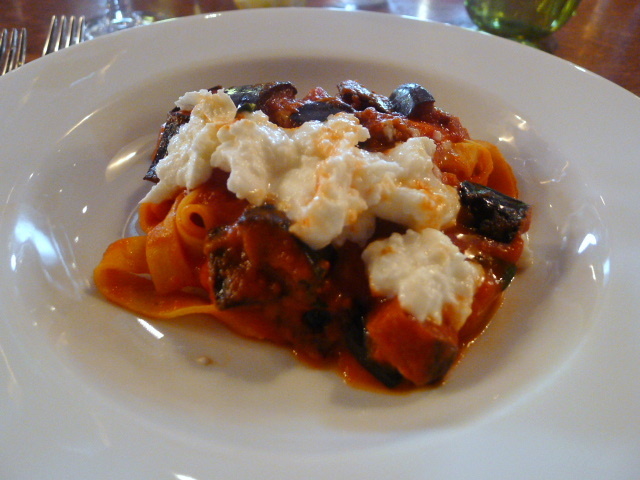 We had the tagilatelle alla norma with aubergine and mozzarella. The sauce was rich with tomato giving the dish a good flavour. 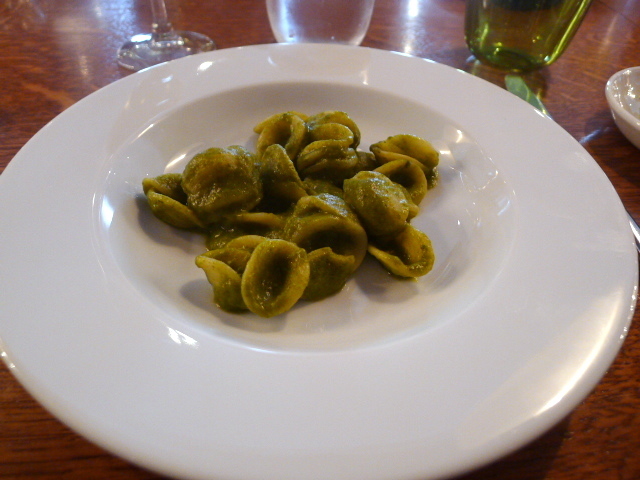 Less successful was the orecchiette with turnip tops. There was a slight bitterness to the sauce which left a metallic aftertaste. This dish was not pleasant, a consensus shared by a number of the participants in my course. 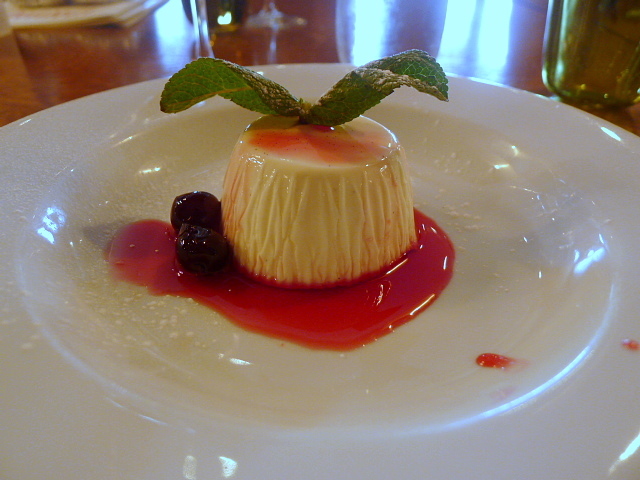 Dessert was a decent vanilla panna cotta. I would have preferred slightly more vanilla however, and there was probably a touch too much gelatine in it as its wobble was quite firm. My sister attended one of the four hour courses at La Cucina Caldesi. She thought it was very good and that it covered a decent amount of material. But she also thought that the course was pricey, and in some respects stingy as there were loads of leftovers, none of which they let you take home. In comparison, this session wasn’t probably as detailed, but it only costs £28 including lunch. All things considered, this masterclass was ok. 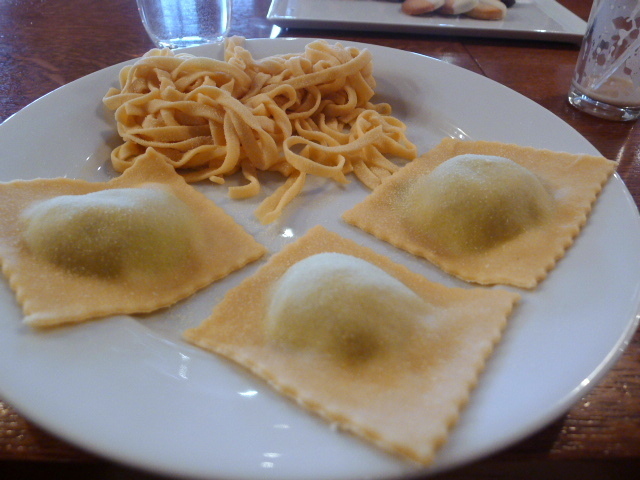 There were some interesting elements to this session, but the second pasta course did the restaurant no favours. When I left Cantina del Ponte, I couldn’t help but reflect on how much more I got out of the lamb butchery masterclass at The Chop House, and how much more food I was served to eat when I was there. That course was priced at £35, a mere £7 more. One question, your panna cotta looks like it has a rippled effect down the sides, is this achieved by lining the ramekin with greaseproof paper? I think it looks much more interesting than a plain edge.